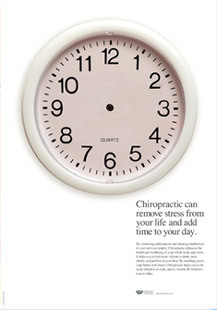 All of our posters are simple and incredibly effective at conveying 'key messages' about Chiropractic. The have been used on a 3-step design process. • Substantiative text to give detailed, research-based information. Our posters help to illustrate the wide and varied benefits of Chiropractic for all the family.